Cancer never rests; cancer shows no favorites, takes no prisoners. 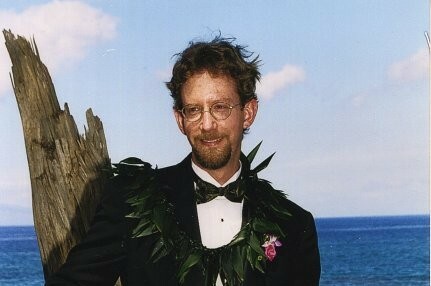 My husband, Robert, has recently been diagnosed two different cancers. Despite a double diagnosis of cancer, he is committed to fight both cancers head-on. Robert sees the smile on our daughter's face and knows he must face the battle; he is determined to watch her grow up. 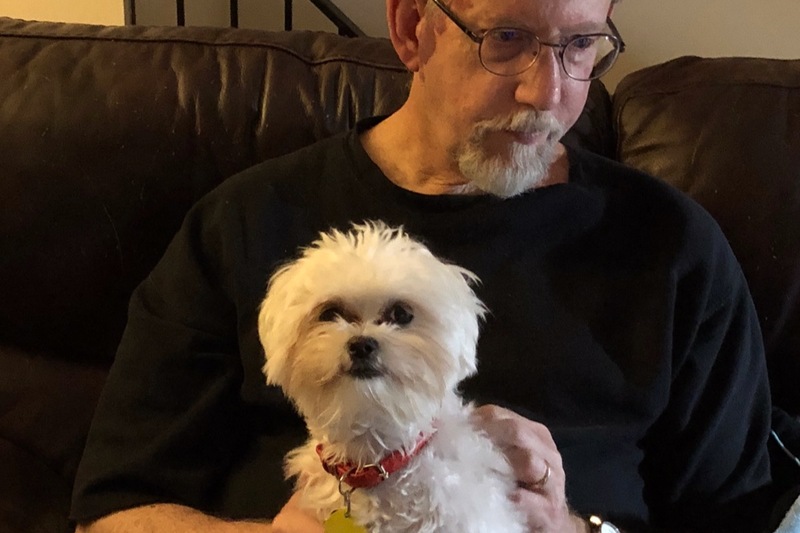 Robert is early in his battle against metastatic melanoma and prostate cancer. He has endured one surgery already and is facing another, in addition to treatments and recovery. Robert is seeing many different doctors in an attempt to cure these terrible cancers. Despite medical insurance, the medical bills are beginning to overwhelm our family. Any donation will help us defray the costs of our seemingly endless doctor and hospital visits and costs. Thanks so much for taking the time to read our story. It's been a hectic few weeks, pretty much the usual activity for us. This is spring break week for Purdue and for Angeline so we're taking advantage of the time to catch up on local appointments without missing school/work and also just relaxing. Fortunately, Robert has no appointments this week; a nice break for both of us. He had the surgical biopsy on his left arm last week and we finally received results yesterday. Some good news for a change: no evidence of the carcinoma spreading past the skin layers. Whew! It's nice to hear a bit of positive news every once in awhile. Robert has a nice four inch incision on his arm, of which I will remove the sutures in a few more days. He says he doesn't even notice it since his neuropathy is severe enough that other aches and pains don't even register. He is relieved he doesn't have to deal with another metastasizing cancer. Robert returns to see the oncologists at the end of this month for the usual scans and bloodwork. Robert did see his nephrologist a couple of weeks ago as well. She finally mentioned the word "dialysis" to us, although he is not ready for that big step yet. I think she is preparing us for the near future. She asked us to start considering the types of dialysis and what will fit for our lifestyle. Hopefully Robert still has some time before this becomes a part of his life. Anyway, that is the update for now. More to come after Robert's next round of doctor visits. Peace and love to all. Surgery scheduled for March 6th. More to update after pathology results. I'm tired. Just tired. Robert and I have made three separate trips to Indy for appointments over the past 2 weeks and another next week, and one more scheduled for the end of the month. His pain/neurology appointments haven't resulted in much relief and he even had an unpleasant side effect from one of the new medication. Scratch off another drug he can't take again. We are pretty much out of option short of brain surgery to relieve his horrible neuropathy. Robert's appointment with dermatology/oncology resulted in a biopsy (small punch biopsy). He's been concerned about a few spots but this one he couldn't see on the back of his left arm. Results arrived today: squamous cell carcinoma. Robert now has three cancers. Luckily I was home when the call came in to him. His reaction was different than mine, yet both demonstrating extreme distress, sadness, frustration...and any other reactions one might have when discovering you/your spouse has another cancer. This follows a weekend of some immoral individual (s) that decided to hack Robert's debit card and drain our bank account. We figured it out with $10 left in our account. Needless to say, it has been on hell of a prior week. I can deal with the bank and recover the money eventually. However, cancer doesn't go away. A painful lesson we've learned over the past 5 years. We are now awaiting a call to schedule surgery to do a wide excision of the area where the cancer is located. Hopefully this will occur within the next week or so. I will post again after the next round of appointments and this procedure. As difficult as this is to live each day, I'm still grateful Robert is still fighting and trying to persevere. The difficult task that awaits is telling our daughter. We may wait until the surgery is done and we have results from that. No need to worry her right now...I hope that's the correct decision. If you wish to help, anything would be most appreciated. I hate even typing the above sentence but my salary has not increased but our health insurance premiums have, including copays and medications. Insurance is roughly 1/4 of my paycheck each month. At any rate, no pressure to our dear family and friends. Your love and support help more than you know. Thank you for thinking of us and continuing to follow our journey. Just ask for my Venmo account if anyone wishes to do that instead of a GoFundMe donation. I hope everyone had a safe and happy holiday and new year. Our family spent a quiet week at home with a few trips out since the weather has been mild. It's nice to have light traffic and no students on campus; only a few more days of that before the craziness begins again. Robert had his quarterly oncology appointment on Monday, just in time to add it to the 2018 insurance coverage. All of the copays and deductibles began again on Tuesday. At any rate, everything went smoothly since it was New Year's Eve day; little traffic in Indy and the cancer center wasn't busy. Nothing new to report on the CT scans from Monday, meaning no changes since the end of September. However, his bloodwork is showing a drop in kidney function again. Robert had a 6 month mild recovery period where his kidney function experienced a slight rebound. No explanation as to why but now it seems to be decreasing again. His creatinine levels are the highest they've ever been and the overall function is back to the low point of about a year ago. He is not at severe loss of function for dialysis but the numbers are showing a drastic enough change that his oncologist will notify his kidney doc for further information. Robert will see her again in February. Overall, Robert has been feeling extremely fatigued and the neuropathy is worsening. The fatigue may be a combo of the constant pain and decreasing kidney function. He tries to remain in good spirits but he has many days where it's difficult to stay positive. Robert struggles to get out of bed some days but at least the pets provide him some motivation to get up and move. I must admit, it continues to take its toll on me and it can be emotionally crushing watching him slowly decline each day/week/month. After 5.5 years, I'm truly exhausted. I can tell Angeline struggles with it some days, too. No child should have to watch his/her parent struggle like this. She's an amazing kid and I can only hope this experience makes her a strong, confident adult. Wishing everyone a wonderful and safe new year! 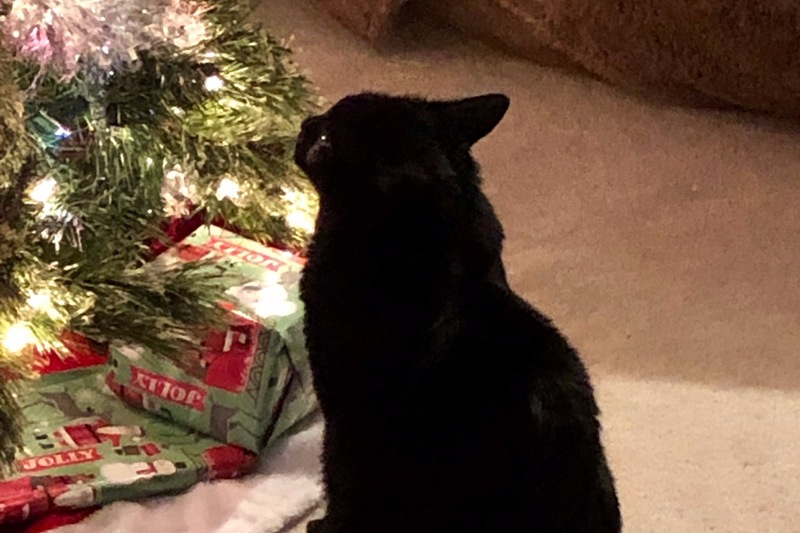 Enjoy the pic of our cat JoJo admiring the Xmas tree. It's due to come down this weekend. Peace and love to all! I love the "Gotcha Day". What a great idea. I should celebrate that with my 2 brothers. I came via stork - they got to ride a 747 from Korea. Awesome! Sorry Cathy for all these illness comes to Robert. Hope the surgery go smoothly. I am Hongyu from Ann Arbor. Taking care yourself. Take care - will surgery be in Indy?